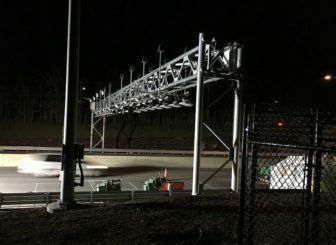 The 2019 debate over tolls began this week with a legislator from Connecticut’s southwestern corner — home to some of the state’s most congested highways and rail lines. Sen. Alex Bergstein, a freshman Democrat from Greenwich who favors tolls on all vehicles, also wants to employ a financing approach that could leverage huge private investment and dramatically accelerate the rebuild of Connecticut’s aging, overcrowded transportation system. Deficient and “severely congested roads” cost Connecticut drivers $5.1 billion annually, the state’s Transportation Finance Panel reported in March 2016. This includes $1.6 billion in additional vehicle operating costs, and $3.5 billion in lost productivity tied to congestion-related delays. But Bergstein, who is vice chairwoman of the legislature’s Transportation Committee, said legislators should consider another cost-sharing option that also could speed up the long-overdue rebuild of the transportation system: Securitization. In the past, securitization often involved a state offering a future revenue stream — say, 10 years of receipts from a particular fee — in exchange for a one-time, upfront payment that’s less than the pledged revenue stream over time. It’s like when a lottery winner forfeits a bigger prize paid over 10 years to get a smaller, lump-sum award right away. “It is about unlocking this enormous pot of private-sector money that we are not accessing now,” she said. The trade-off for these deals, though, is that private investors want a return on their investment. If the numbers aren’t crunched properly, toll costs can escalate. “It’s really not that complex when we put it into consumer terms,” she said. “It’s the same thing as getting a loan from the bank when you have equity on your house” and want to make home improvements. 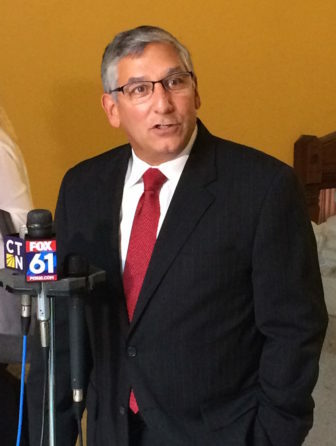 Fasano also said Republicans still believe Connecticut can bolster transportation investments through their “Prioritize Progress” plan, which largely freezes state borrowing in other areas except for transportation. Former Gov. Dannel P. Malloy and other Democrats have criticized that plan, arguing it would not allocate enough resources for major, necessary transportation projects, such as completing the rebuild of the “Mixmaster” junction of Interstate 84 and Route 8, replacing the elevated section of I-84 in Hartford, or widening Interstate 95 in the state’s southwestern corner. Rep. Kerry Wood, a freshman Democrat from Rocky Hill who also is supporting tolls, said she was thrilled to hear Gov. Ned Lamont’s vision of a 30-30-30 rail system in which commuters can travel from Hartford to New Haven, then to Stamford, and then to New York City, completing each segment in 30 minutes or less. “A modern rail system, with times like that, with wi-fi — that’s something we’re really behind the times on,” Wood said. A commercial real estate agent who relies on rail to travel to Fairfield County and New York City, Wood added that the slow travel times and limited service are frustrating. “But sometimes you wonder if you are in a Third World County when the train catches on fire, or a bridge is out” and passengers must disembark and catch a bus.